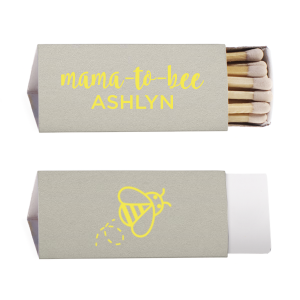 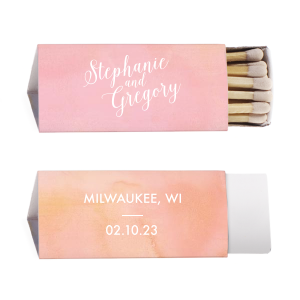 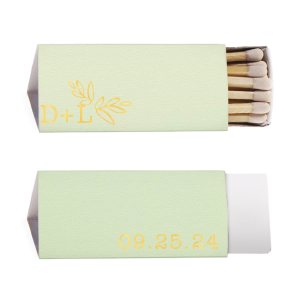 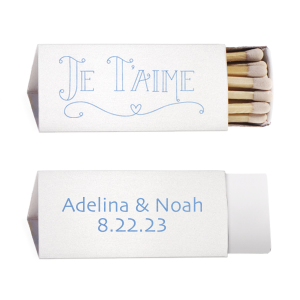 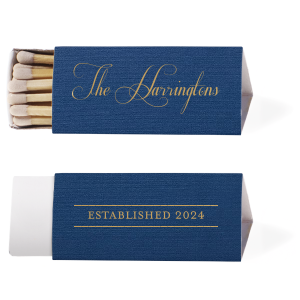 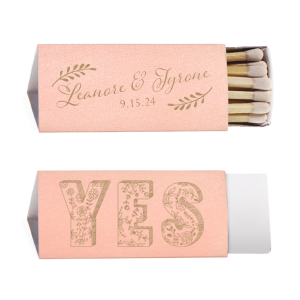 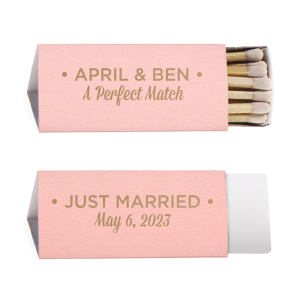 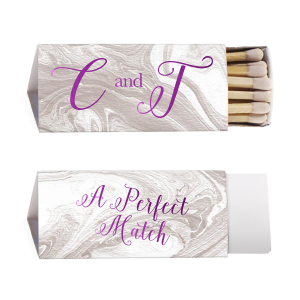 Delight your guests with custom triangle matchboxes as personalized wedding favors. 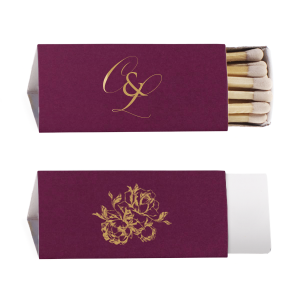 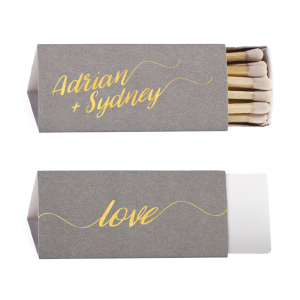 These creative box matches can be designed exactly to your event theme and personal taste—be it elegant and understated or bright and bubbly. 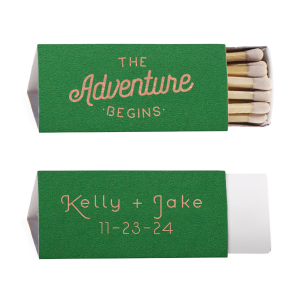 Personalize every detail and choose your paper and foil colors. 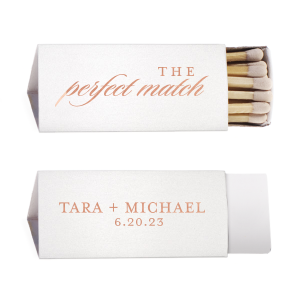 Then, add your design! 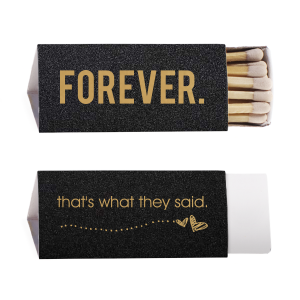 Drop your favorite wedding pun with a "The Perfect Match" quote in a classic gold foil stamp. 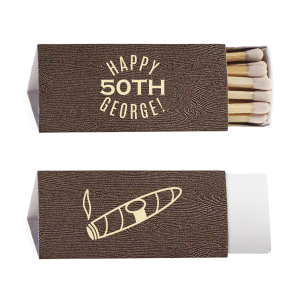 For Your Party has a wide variety of clipart, fonts and design options so you can personalize your triangle matches with any theme. 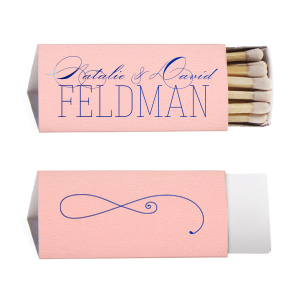 Style yours with the trending minimalistic look or go with a classic personalized monogram. 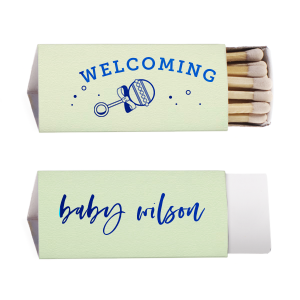 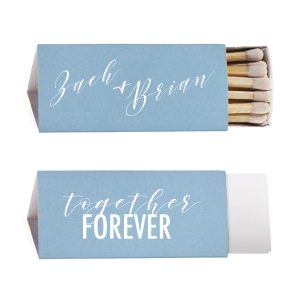 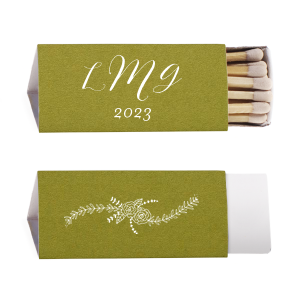 Custom triangle matches can be placed around your wedding bar, on tables, in the restrooms, set aside to pass out for your sparkler send-off or even use them to kick off your wedding festivities and include them in your wedding welcome bags. 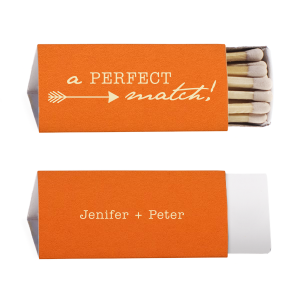 Custom triangle matches also make great personalize party favors at retirement parties, graduation parties and bachelor weekends. 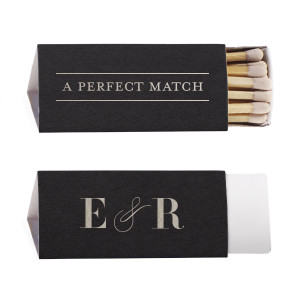 Looking for the perfect leave behind for a corporate event and restaurant matches? 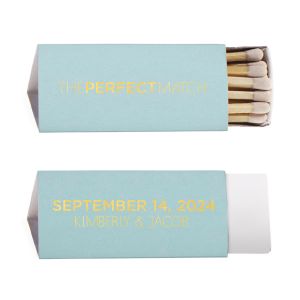 Upload your logo to your custom triangle matches using the For Your Party customizer today!